When we first started moving Mark2Cure from Amazon Mechanical Turk to the internet at large, we decided early on that we would let the contributors take the steering wheel on the project. During beta testing, advocates from various rare disease communities (like Hashimoto’s Encephalitis, Cystic Fibrosis, and Cystinosis) made significant contributions; but the NGLY1 community made a concerted effort to ensure that the beta test was completed successfully. NGLY1 contributors even took to the Missouri Military Academy to recruit volunteers for the cause—and they succeeded. Mark2Cure successfully completed its beta experiment, and continued to launch our current campaign to find clues for the NGLY1 research community. There could clues to your own disease – Volunteers are combing through doc sets which cover biological mechanisms that may lend insight into many other rare diseases. Information of interest and clues to YOUR disease community may be in these doc sets, but we need your help to find them. Participating can be empowering – Participating in Mark2Cure can help with learning a lot of biomedical terms and concepts. Becoming more comfortable with scientific abstracts, and learning about mechanisms which may be involved in your disease can be incredibly empowering. 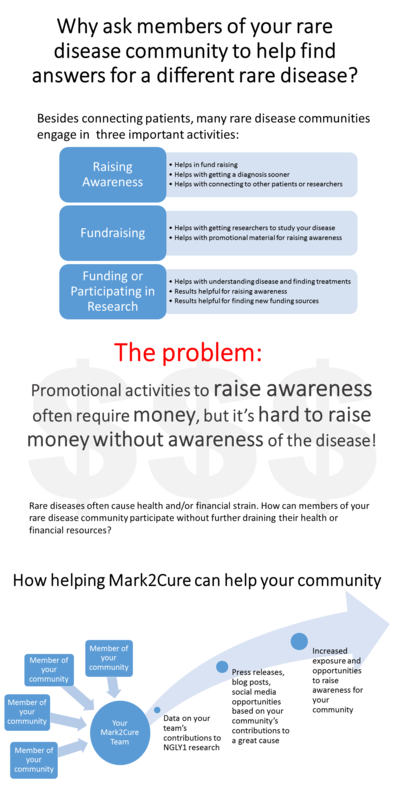 Raise awareness – Mark2Cure has team functionality; we can leverage the contributions of team efforts to help raise awareness for that disease. Influence the Gene Wiki Review series – Mark2Cure is a project of the Su Lab. We work on many other projects, including the Gene Wiki Initiative (which attempts to get every human gene of interest onto Wikipedia and more.) See this article by Ben and Andrew on Marrying Crowdsourcing with Traditional Peer Review. As part of this we’ve invited NGLY1 expert Dr. Tadashi Suzuki to flesh out the Wikipedia article on NGLY1. 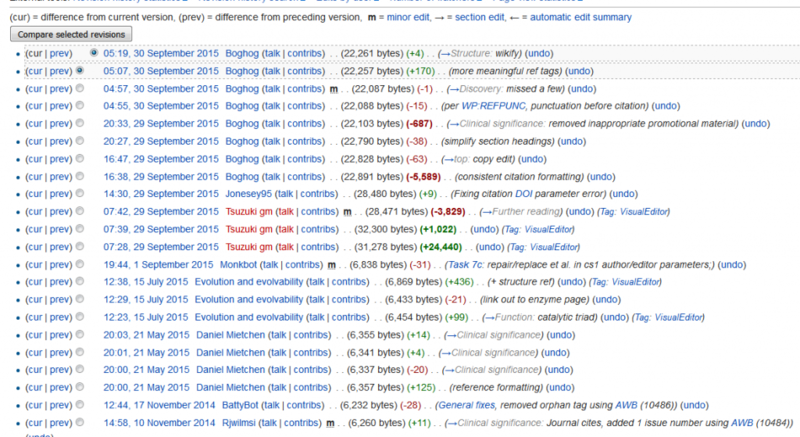 We have additional experts queued up to edit Wikipedia pages for other genes of potential interest to the NGLY1 community. We would love to invite experts to contribute on gene entries of interest to our Mark2Curators. The only way to show interest, though, is to contribute! Help us help you! Join us!